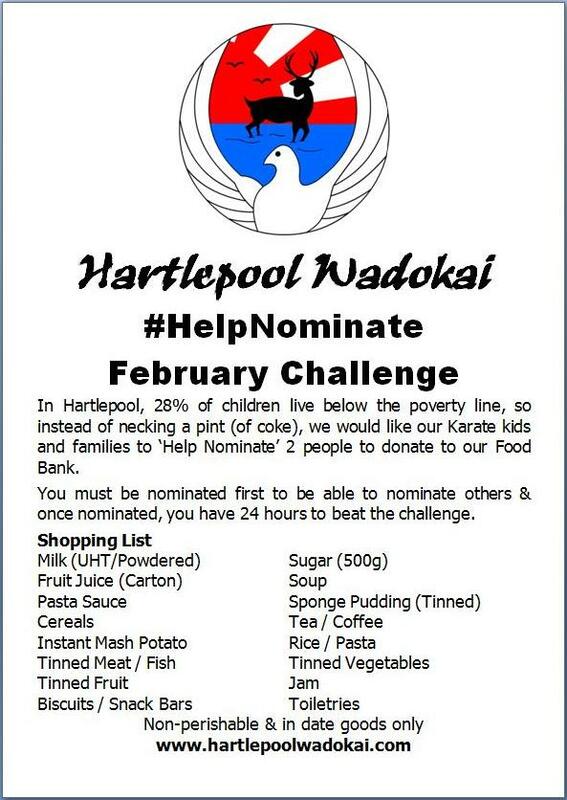 In Hartlepool, 28% (33% according to endchildpoverty.org.uk) of children live below the poverty line, so instead of necking a pint, like the recent #NekNomination craze going around (which has allegedly led to some deaths! ), we would like our Karate kids and families to ‘Help Nominate’ 2 people to donate to our Food Bank. You must be nominated first to be able to nominate others & once nominated, you have 24 hours to beat the challenge. Hartlepool Wadokai have adopted this as the ‘Monthly Challenge’ for February and Carl kick started it tonight (Mon 3rd) at the club. Our monthly challenges are usually ‘fitness’ or endurance based exercies, Joe H won the January challenge by holding the Plank for a staggering 7 minutes! beating dancers, Karate athletes and iron man contenders in the process…Ann is also involved with Elwick Academy Northern arts Academy so it’s great that they are also supporting the campaign. It would be great if some of our Karate friends throughout the UK tried a similar thing in their own neighbourhoods. Let us know how you get on… and don’t forget to Nominate! 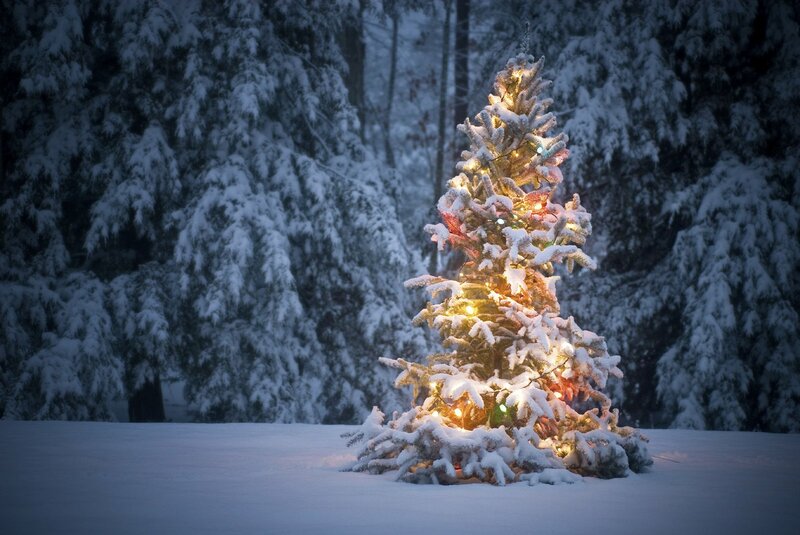 We’ve adopted the Shiramizu Dojo / Japanese tradition of having a ‘forget the year’ party or Bonenkai each December. The Christmas party at our club is always preceded by a free end of year training course where we carry out another Shiramizu tradition – everyone performs 1000 punches! (Last year we also did 1000 kicks but this nearly broke the seniors so we didn’t do it this year!). The course is always a great chance for students who attend different classes throughout the week to get together as one group. This was a really busy weekend for the club with student’s from 3 years upwards training and grading. The little ninja’s trained and graded over a 2 hour period – a long time considering how young they are! The younger/lower grade students trained for 3 hours on the Saturday going over the finer details of their grade. The actual test was done after the training. Higher grades completed 6 hours training over the two days and done their test on the Sunday afternoon. There were some great performances, in particular the Little Ninja’s – they’re going to be Karate superstars if they stick in!!! The next grading weekend is planned for 8th & 9th February 2014. On Halloween the club held an erm… Halloween Party, in our shiny new Dojo HQ. A lot of the mats were cleared away, tables & chairs set up and scary decorations were superglued/blue tacked/pinned/nailed/sellotaped to the shiny walls of the pristine/immaculate white walls (Can you tell Carl was a little concerned about this?). We had a staggering 200 people turn up for the party which made this one of the biggest club-only events we’ve ever held. It was massive success with most people getting dressed up with some great costumes and 60 entries into the pumpkin carving competition! As always, George & Nick did a great job with the disco, and also Lynne & co with the catering/decorating – all made the night a success. Thank you to everyone who came along, the next party will be our Kids Christmas Party – December 14th, tickets available now!